TYSONS CORNER, VA, July 11, 2018 — The Potomac Officers Club — a division of Executive Mosaic — will be hosting the 3rd Annual Army Forum on Aug. 16 at 2941 Restaurant. 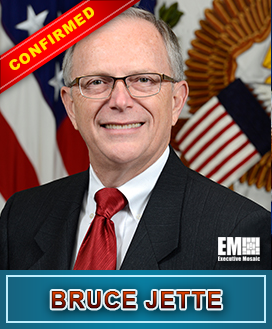 Dr. Bruce Jette, Assistant Secretary of Acquisition, Technology and Logistics for the U.S. Army, will serve as a keynote speaker at the event. Information on other speakers will be provided at a later date. Modernization, particularly in regards to information technology capabilities, remains one of the Army’s top priorities. Join the Potomac Officers Club to hear from leaders in both the public and private sectors about the Army’s current initiatives and future plans. The forum will focus on the service branch’s “Big Six” modernization priorities as well as the rapid acquisition approach of the Army Futures Command and cross-functional teams. 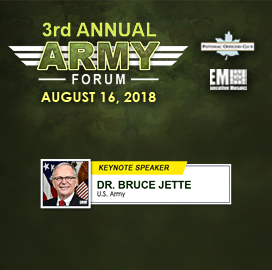 “It’s an honor to have Dr. Jette join us as we host the 3rd Annual Army Forum and discuss the U.S. Army’s modernization priorities,” said Jim Garrettson, president and CEO of Executive Mosaic. 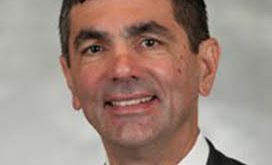 “Long-range precision fires, next-generation combat vehicles, future vertical lift platforms, a mobile and expeditionary Army network, air and missile defense and soldier lethality are poised to become key areas for GovCon as the Army moves to adapt to new and emerging threats in the battlefield. The forum will serve as a platform for industry to gain strong insights into these new and exciting opportunities,” Garrettson added. The forum will be held on Thursday, Aug. 16, at 2941 Fairview Park Drive, Falls Church, VA.